Metabolism is the set of chemical and biological reactions that occur in living organisms in order to maintain life. Through eating, drinking, breathing, and assimilating, we degenerate due to metabolism’s reactive by-products. Metabolism causes damage, and this damage eventually causes pathology. Every organism that metabolizes also dies because of this metabolic process. Metabolism keeps us alive and metabolism eventually will kill us. The fitness industry is all about “boosting your metabolism.” On the other hand, leading anti-aging research is all about slowing down metabolism through caloric restriction. Seems like a paradox? Is it good or bad to have a slow metabolism? It depends on why it is slow! 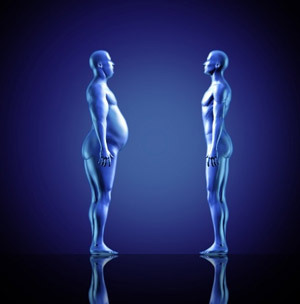 Is your metabolism slow due to deterioration of your faculties and inefficiency of body processes? Then … it is bad. Very bad. Or could it be you had something to do with it? You slowed it down intelligently and intentionally because your body is so clean and tuned that you gradually trained it to thrive on fewer calories (less food). That is very good. The Somatic Mutation Theory says that, as we get older, more and more of our cells have mutations in their genes. More of our genes stop working, too. This means more and more of our cells don’t work well. It is these poorly working cells that lead to aging. Calorie restriction has been known to slow down degeneration and even boost the repairing pathways. Many people on raw food diets have experienced the same positive results, possibly because raw foods contain fewer calories, leave less waste in their metabolic wake, and are able to cleanse the body as well. A sick person can have a slow metabolism. He eats a lot, but little goes to use, and metabolic waste accumulates. On the other hand, a very healthy person also can have a slow metabolism. His slow metabolism is a result of eating fewer calories. That metabolism will leave less waste behind. Do you see the distinction? 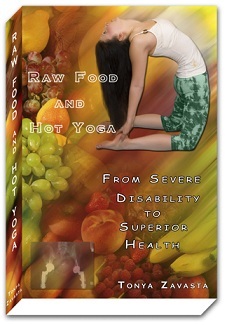 Read more about this issue in Raw Food and Hot Yoga. The rate at which the resting body converts food into energy slows by about 3% every decade after age 20. But we notice it after 40. Diseases and accidents can speed up the rate of deterioration, and slow metabolism even more so. The fitness industry, nutritional science, and our everyday experience (filtered through our culture) teach us a great deal about how bad this slow metabolism is. And they completely overlook that a slowing metabolism is what actually forestalls aging—provided you follow well-calibrated caloric restriction. The only logical conclusion from this seeming paradox is to admit it is less, not more nutrients, that we need to consume to raise our chances for longevity. No need to chase exotic formulas. Not only do you not need a “miracle nutrient” from West Africa or the Amazon rainforest, you don’t even need much of what is sold in your local grocery store. You need very little food, but of the very best quality, that will leave little metabolic waste in your body. And what could that possibly be? Answer: Raw organic produce from local farms or your own garden.